Two weeks after a suicide bombing in Kashmir in February killed 40 Indian policemen, a Facebook user called Avi Dandiya posted a live video in which he played a recording of a call purportedly involving India's home minister, the president of the ruling Bharatiya Janata Party (BJP) and an unidentified woman. The trio could be heard talking about arousing nationalist sentiment ahead of India's general election, with the BJP president allegedly saying in Hindi: "We agree that for election, we need a war". Within 24 hours, one of Facebook Inc's fact-checking partners in India, BOOM, exposed Dandiya's video as fake. An analysis on BOOM's website said the video was created by splicing audio from older political interviews. Still, Reuters last week found at least four edited copies of Dandiya's videos on Facebook with about 36,000 views. One on Google's YouTube has been seen 2,800 times while another on Twitter has 22,000 views. Messages and e-mails to Dandiya, an avid Facebook user who last appeared in a live video on March 23, went unanswered. The home ministry, the BJP president and party's information-technology chief did not respond to requests for comment. The videos underline how social media companies are struggling with fake news in India despite saying they've taken steps to tackle the menace ahead of India's general election, which starts on April 11. With 900 million people eligible to vote and an estimated half-a-billion with access to the internet, fake news can have an enormous impact on the election. Dandiya's video, for example, could have seriously damaged Prime Minister Narendra Modi and the BJP if enough people thought it was true. Fierce internet disinformation battles gripped countries such as Brazil and Malaysia last year ahead of elections. Authorities in Indonesia and the EU, which are due to hold polls, have warned of the threat of fake news. 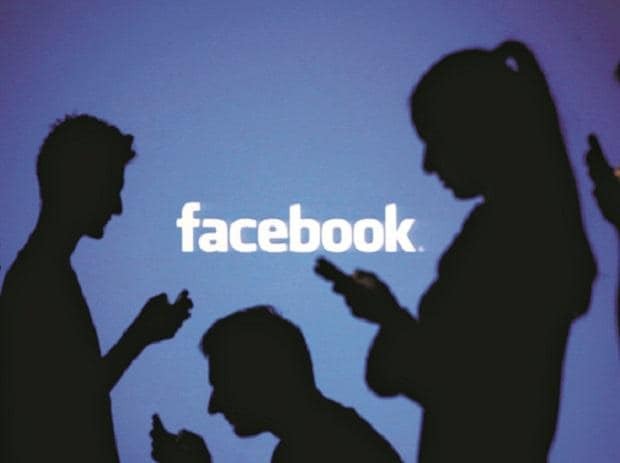 On Monday, Facebook said it had deleted 1,126 accounts, groups and pages in India and Pakistan for "inauthentic behaviour" and spamming, many linked to India's opposition Congress party. Facebook's popular messaging app WhatsApp has launched newspaper and radio campaigns to deter the spread of misinformation. Social media companies say they don't outrightly remove all fake posts as that would jeopardize free speech. Facebook has said that circulation of posts which are debunked, or discovered to be fake, is reduced by more than 80 percent. Posts that violate Facebook's community guidelines, including hate speech or content that could incite violence, are completely deleted, the company said, adding that Dandiya's video came under that category. "This is a highly adversarial space, so we still miss things and won't catch everything - but we're making progress," said a Facebook spokeswoman, who added that the overall volume of false news had been reduced on the platform. "There's no silver bullet solution in fighting misinformation." A YouTube spokesman said the company will continue to embrace the "democratization of access to information" while providing a reliable service to users. Twitter and YouTube did not comment on Dandiya's video. Another fake post that went viral recently was on popular Indian student leader Kanhaiya Kumar, who was arrested and charged with sedition after a 2016 rally to commemorate the execution of a Kashmiri separatist. Opposition parties said Kumar's arrest by federal police was an attempt by authorities to curb free speech. Facebook in February announced an expansion of its fact-checking company partners to seven, from two. Facebook says it also issues an alert to users who try to share a post which its fact-checkers have debunked, but doesn't prohibit further sharing. Reuters found that when debunked posts of Kumar were shared, an alert popped up with a link to the fact-checkers' analysis. However, all four variants of Dandiya's videos could be shared without such fake news alerts from Facebook. "There is no way you can solve this problem (quickly)... the magnitude of the problem is really huge," said Kanchan Kaur, a Bengaluru-based assessor at International Fact-Checking Network at U.S.-based Poynter Institute. "Since Pulwama we've been working seven days a week," said Jency Jacob, managing editor at BOOM, referring to the site of the suicide attack. On a recent visit to BOOM's office in India's financial capital Mumbai, five people were seen monitoring and analysing online content. One of the rooms served as BOOM's studio where television-style news videos are shot on debunked stories and published on its website. British broadcaster BBC has in-house fact-checking operations and a dedicated WhatsApp number where anyone can flag suspected fake posts for further checks. "A dedicated team of journalists is debunking fake news daily, and also writing detailed explainers on controversial issues and claims," BBC's India Digital Editor, Milind Khandekar, told Reuters. Former software engineer Pratik Sinha and his mother are part of a 10-member fact-checking initiative named "Alt News" which is run from a two-bedroom-flat in the western city of Ahmedabad. Debunked posts appearing online has become a problem even for India's Election Commission. In February, a WhatsApp message called for spreading the word that said Indians living overseas could "now vote online for 2019 elections" and should register on the Commission's website. The Commission called it "FAKE NEWS" on Twitter and filed a police complaint against "unknown persons" for public mischief. A month later, the message continues to circulate on Facebook - a user who shared it on March 23 has so far received 42 likes and 19 shares. When someone questioned the post, the Facebook user responded: "I think you can vote. Just check the web site and follow the steps".